Poor people are the first to be hit by food shortages; it is important to make use of all possible technologies and improve policies to ensure a steady increase in food production to match the rising demand. Insights and recommendations based on remote sensing have the large potential to help improve the livelihoods of resource poor farmers. These farmers can benefit directly through specific crop management information or indirectly through better seed or informed policy decisions by governments. Farmer’s organizations, NGOs, governments, policy makers and others can make use of geo-spatial information to create more equitable, fairer and more transparent conditions for these farmers. Participants at the workshop on ‘Remote Sensing –Beyond Images’ learned to define collaborative research projects that will make best use of (research) resources. The event was funded by the Bill & Melinda Gates Foundation (BMGF), the Mexican Secretariat of Agriculture, Livestock, Rural Development, Fisheries and Food (SAGARPA), the International Maize and Wheat Improvement Center (CIMMYT), CGIAR research Program on Maize, the Cereal System Initiative for South Asia (CSISA) and the Sustainable Modernization of the Traditional Agriculture (MasAgro). Every three years, the Forum for Agricultural Research in Africa (FARA) convenes a continental gathering of its stakeholders. The purpose of the event is to create an open space for networking and exchanging knowledge. At the end of the week, FARA’s General Assembly will also meet to ratify major decisions on the future of FARA. The event is a high-level forum for key decision makers within and outside Africa: ministers, agribusiness leaders, agricultural scientists and key figures in civil society and farmers’ organizations. The theme of the event is Africa feeding Africa through agricultural science and innovation. It will include sessions on education and human resource development, innovations to improve productivity and resilience, moving from competition to collaboration, and innovative financing and investment in agriculture. Many CGIAR Research and Challenge Programs are planning numerous side events and activities around Africa Agriculture Science Week (AASW). 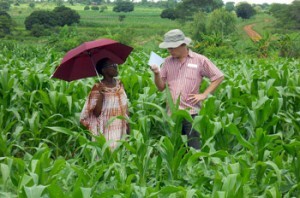 In particular the CGIAR will be represented with a booth, showcasing the latest research outputs and activities. The CGIAR Research Program on maize (MAIZE) will hold a side event entitled “Maize and its role for food security in Africa: challenges and chances”. Held on July 16, this event will address the major challenges to African maize systems and markets, discuss safety food in the value chain and bio fortification. Join discussions on #AASW6 on Twitter. 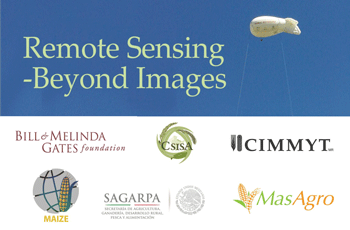 CGIAR is a global partnership that unites organizations engaged in research for a food secure future.